Out-of-town DI Alec Hardy investigates the death of an 11-year-old boy in a seaside community aided by local DS Ellie Miller. The childs parent and other residents of Broadchurch try to cope with the media frenzy surrounding the case. The Latimer family struggles to cope with their grief and the Rev. Paul Coates decides to speak to the local media. Crime scene fingerprints lead DI Hardy and DS Miller to a suspect in Dannys murder. Steve Connelly approaches Beth claiming to have a message from her dead son. A local journalist uncovers a new suspect. Beth and Mark try to get more national press coverage of their sons death. Miller realises the evidence Jack handed over does not match with her knowledge of Dannys possessions. Jack, the news agent, gets unfair press treatment. The case is stalling and morale is low. 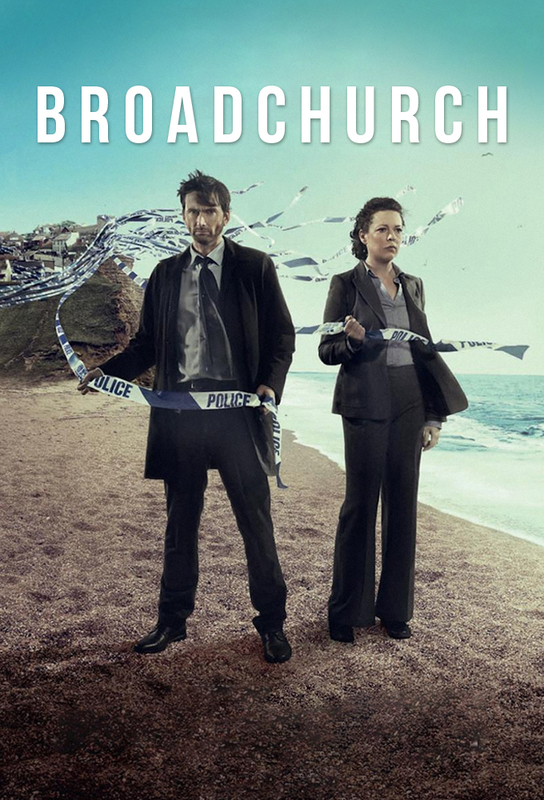 At the Broadchurch Echo, Maggie resolves to solve a mystery that has taken a very personal turn for her. Following recent events, Miller is more isolated than ever before as she tries to find out what happened at the clifftop hut. Meanwhile, the police are circling Susan as Nige grows increasingly desperate for her to leave Broadchurch. The final piece of the jigsaw finally begins to fall into place. DI Hardy and DS Miller attempt to name Danny Latimer’s killer.